Think you’ve seen it all? Not even close! 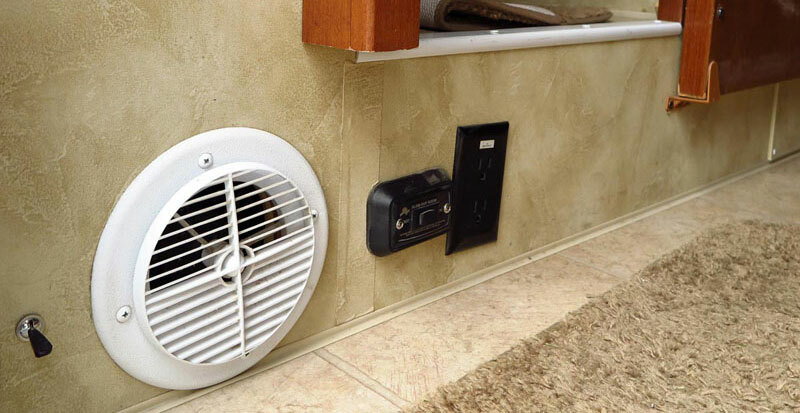 Check out the 6-inch monster sewer hose holder, thermostat-controlled electric heater, and a lookout box for a Chihuahua. Pull the carpet! Screw the towel rack! It’s another mod, mod, mod contest! Welcome to the fifth 10X10 Mod Tournament. Please review the following ten medium mods and vote for your favorite. We will announce the winner next week. Click here to enter a modification you’ve done on your truck camper. Whenever we are in a campground with shore power we like to conserve our propane and use our electric heater to keep the chill off. The problem is that the small electric heaters have a temperature control that is almost useless. Since the temperature control is on the heater, it’s hard to set for comfort in the bedroom area. It always seems to be too hot or too cold. 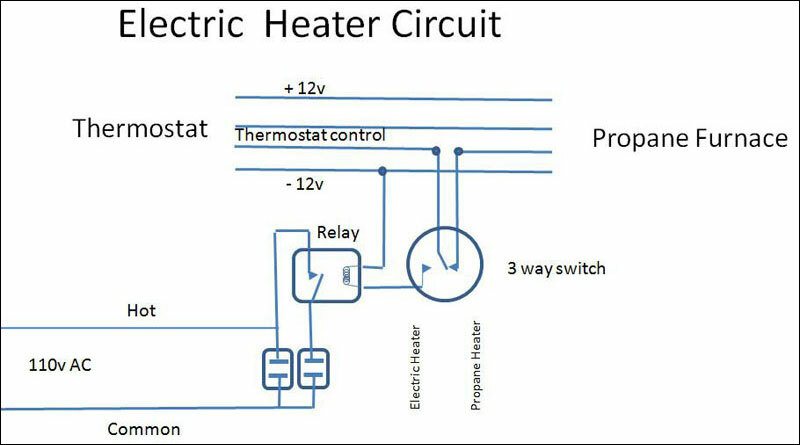 To solve this problem, I modified the heater control on a electric heater so I can switch from the propane furnace to the electric heater. 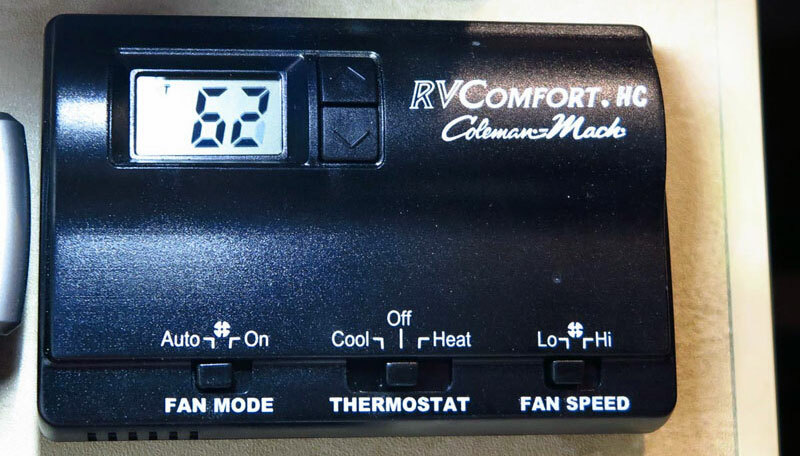 Now with the switch in the electric heater position, we can use our wall-mounted camper thermostat to turn the electric heater on and off at the same temperature setting that we would use for the propane furnace. I have recently upgraded our wall thermostat from mechanical to digital, but this mod will work with non-digital and digital thermostats. Our truck camper’s basement holding tanks are heated with re-circulated warm air from the main living area. The wall thermostat controls the basement fan as well as the furnace so warm room air heats the holding tanks. As long as we use the thermostat for temperature control, either heat source will heat the holding tanks. 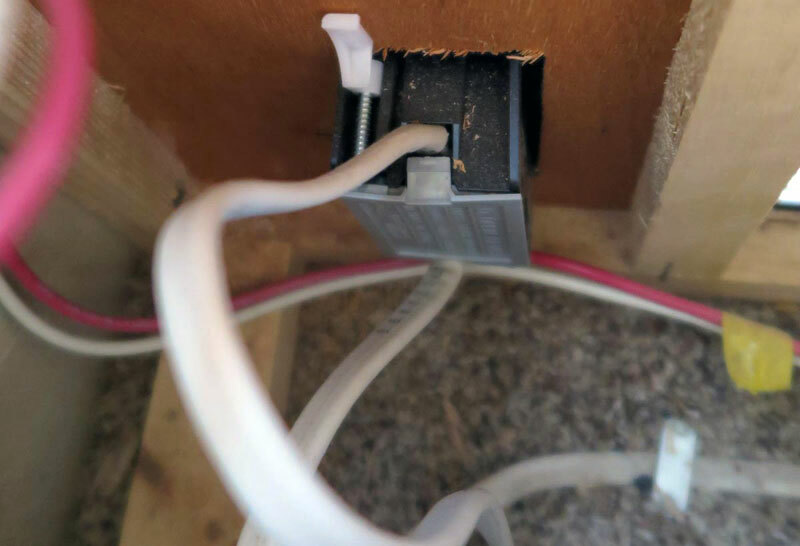 Below is the original outlet inside. 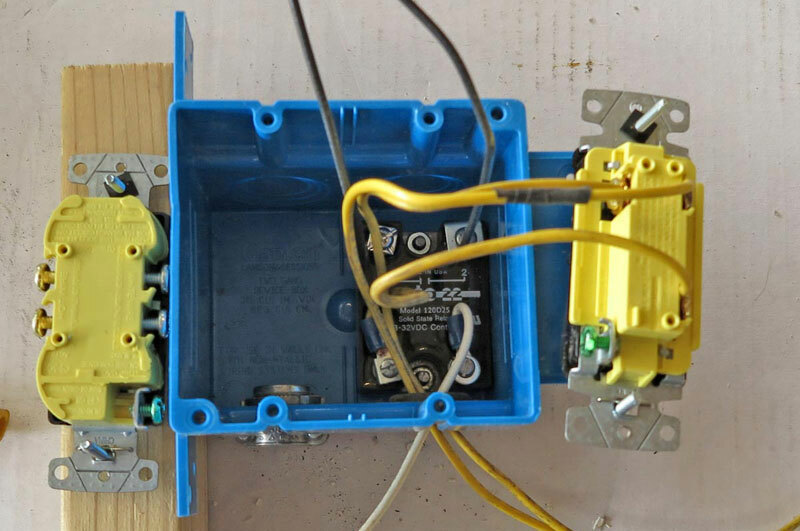 I connected the common of the three-way switch to the thermostat line with one contact returning to the furnace and the other contact to the relay coil. The normally open contacts of the relay were then connected to the AC power and a new outlet.